A speed dating business on the internet can make you a lot of money. There are a lot of people that want to find love quickly. And you can easily set up a website for dating, in order to tap into that kind of market. One of the most popular kinds of websites is speed dating. These kinds of websites offer a fast speed for people looking for dates. Speed dating websites offer people the option to set up a date quickly and without any hassle. Thus they are more likely to find love because they can find more partners in a shorter amount of time. This speed makes people prefer to use a dating website service that is geared towards speed dating. It is much easier to start speed dating business than you would think. You can use this guide to learn how to start a dating website. It is going to be a breeze to set up a matchmaking website. Before you start any kind of business, including that of a matchmaking service, you will need to make sure that you are actually enthusiastic about your new venture. It is important that you try and figure out if you actually have enough enthusiasm to continue on with your business venture. If you want to start speed dating businesses then you have to think carefully if it is the right thing for you to get into. You could ask yourself if you have got the right skills or even passions to start a new website that is all about speed dating. It can be helpful to know who are the kinds of people in your area that are looking for speed dating matchmaking websites. If you are someone that is living in an area with a lot of singles, it can help you get to know more about them. By doing research on the people that you want to be on your website, you can know their preferences. And then you can tailor fit your website’s services in order to meet the preferences of those people. You may also want to try to focus your website’s services towards a specific target market. For example, you could try to make your speed dating website for younger people. Doing this can actually make your website more appealing to that specific market. And you can draw in more customers thanks to that. You will need to start organizing the team for the speed dating venue. For example, you may want to try and decide who will manage or host the event. And that is just one aspect of the event that you will have to organize. You could try to find a caterer for the event because people will need some kind of refreshments for the speed dating event itself. You may also need to hire and look for potential staff for the event too. All of this will need to be done, especially if you want to start speed dating business without any hassle. Aside from organizing the actual event itself, you will also need to find and check out a venue. You cannot hold a speed dating event without having a place to hold it in. You will need to scope out the local area around you for a place that is large and convenient enough to hold a speed dating event. Ideally, it should be large enough to hold a lot of people, but also near enough to be conveniently attended by more people as well. You will need to also make sure that the venue for the event that you are renting, is actually going to be within budget. You will probably also have to set up a website when you start speed dating business. This is because a website can be a useful tool for you to be able to let people know more information about the speed dating event that you are going to hold. You could easily set up a website using WordPress. This is because there are a lot of plugin for dating and matchmaking on WordPress. You could find a dating theme for your WordPress website, and then use it to make your business seem more legitimate. And on WordPress, you could even use a dating plugin to make it easier for people to use your website as well. So overall, if you want to start a speed dating business, you will also need to make a website on WordPress too. You will also need to draft a budget for your whole speed dating business, or just a budget for the event that you are holding. If you do this, then you can check out just how much money you will need. It is important that you try and also raise enough money to start speed dating business. So you may need to seek investors, or take out a business loan from a bank. Start marketing the event. You will need to promote your speed dating event, especially if you actually want people to attend it. So try to advertise the event as much as possible. You could try to post flyers and ads on various places around your area. Be sure to place those posters in locations where a lot of people will go. You could try to post some ads in your local stores. Aside from physically promoting the event, you could also go online to promote your speed dating business. You could purchase targeted ads on Facebook or any other website, to make your speed dating business more known to other people. 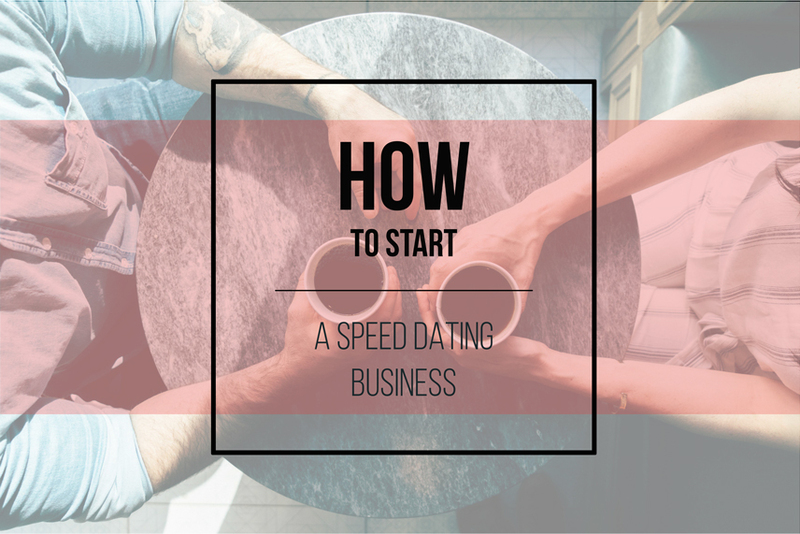 These are some of the steps that you will need to take when you are going to start speed dating business. It can be a great idea to set up a speed dating or matchmaking business because there are always a lot of people looking to find dates.